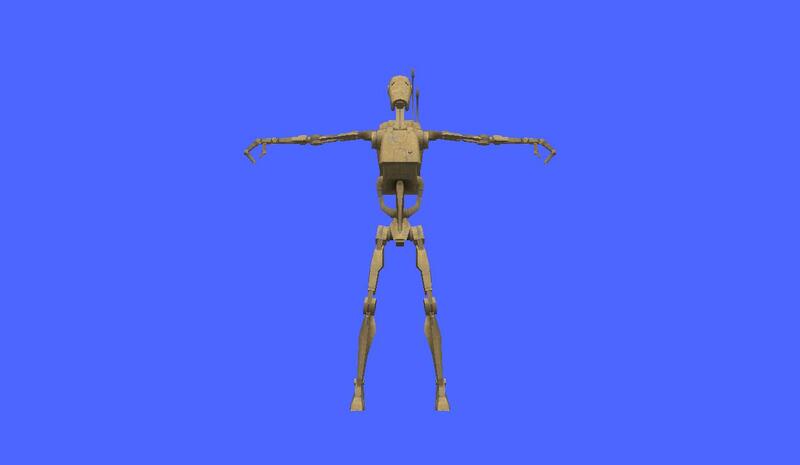 Here is my port of the SWBF3 B1 Battle Droid. 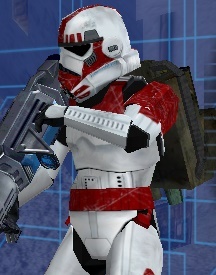 Rather than just use the single model I created a few variants of the B1: camoflague version (which was in SWBF3), pilot version, security version, commander version and heavy version (based on EA's SWBF2). 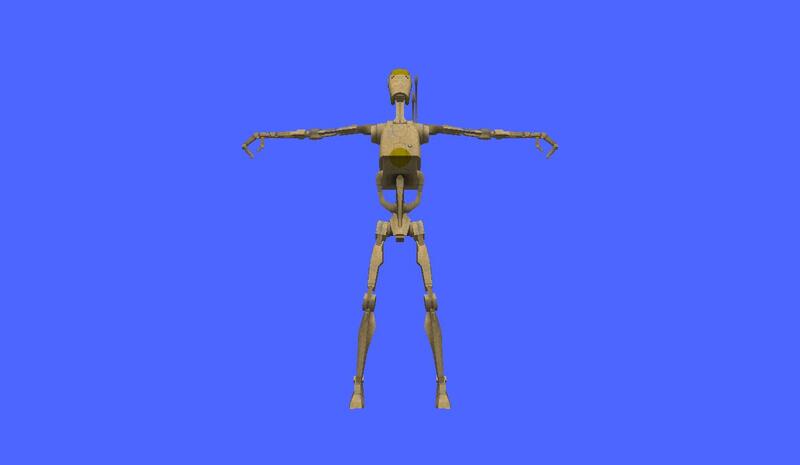 I've rigged them to the stock Battle Droid skeleton from the original Star Wars: Battlefront (which I have included). 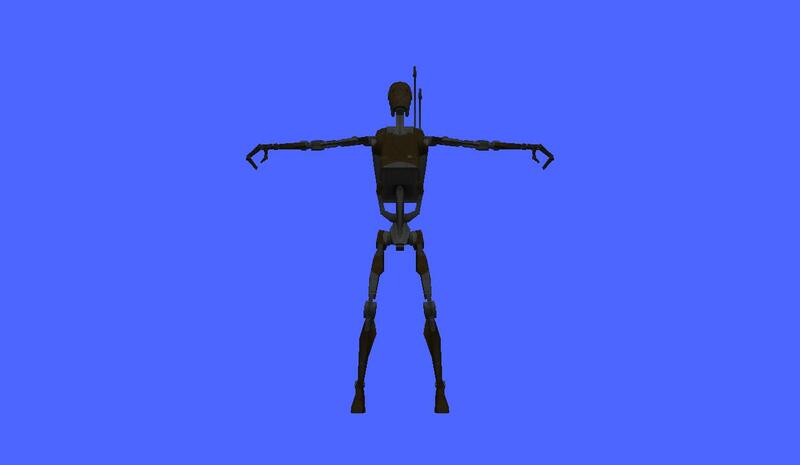 In making these I found out that apart from the lower arms everything else lined up with the stock Battle Droid when scaled appropriately. 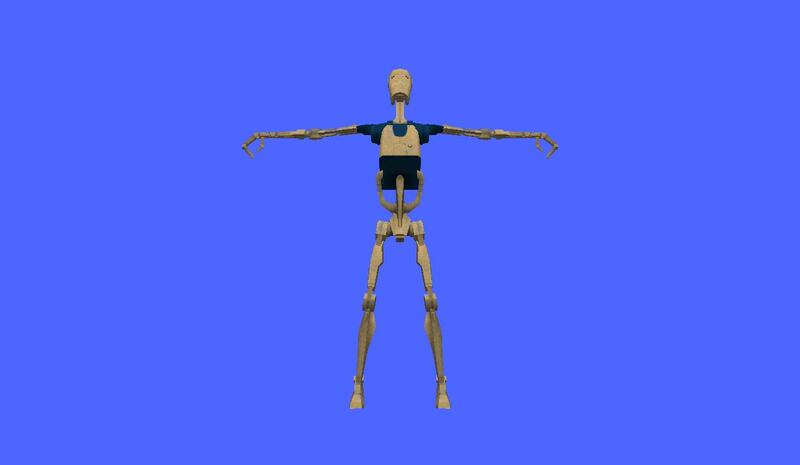 I did scale the lower arms down to match the stock skeleton and they seem to work fine. Last edited by ggctuk on Mon Jul 17, 2017 5:34 pm, edited 1 time in total. Nice! Did you scale them down a bit, too? The ones used in SWBF3 legacy looked too big to me. commanderawesome wrote: Nice! Did you scale them down a bit, too? 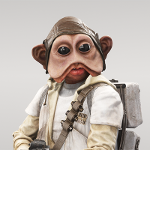 The ones used in SWBF3 legacy looked too big to me. I scaled them in line with the stock Battle Droid model. It's not that big of a deal, anyway. I'll be able to fix that when I get home. I somehow missed that when I tested it earlier. EDIT: Fixed the issue which was a single point in the left thigh that was mapped to the right for some reason. 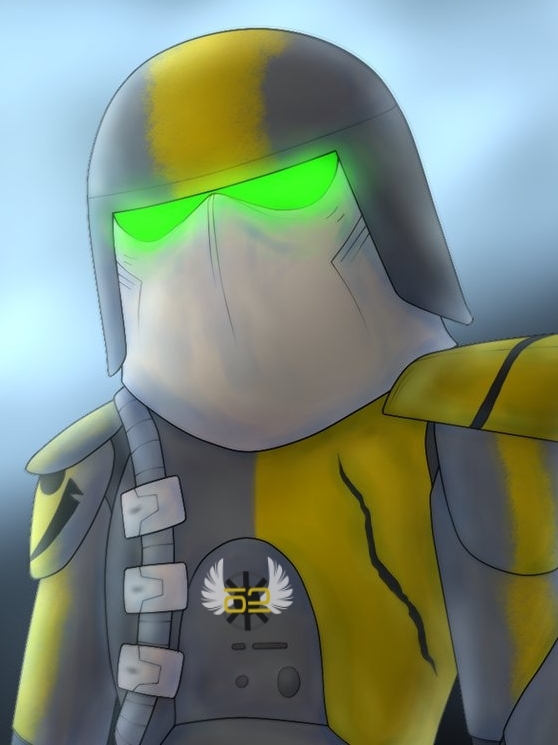 Link in the first post has been updated subsequently. Omg these are awesome, I`m now using these in my mod, I love how they don`t have alpha channel textures. Makes it so much easier for me to make custom textures for them! Huge thanks for porting em! And I have one question: What do the "cis_inf_bdroid" and "cis_inf_bdroid_lowres" ZAFBIN files do? SkinnyODST wrote: Omg these are awesome, I`m now using these in my mod, I love how they don`t have alpha channel textures. Makes it so much easier for me to make custom textures for them! Huge thanks for porting em! SkinnyODST wrote: What do the "cis_inf_bdroid" and "cis_inf_bdroid_lowres" ZAFBIN files do? It's actually the stock one. 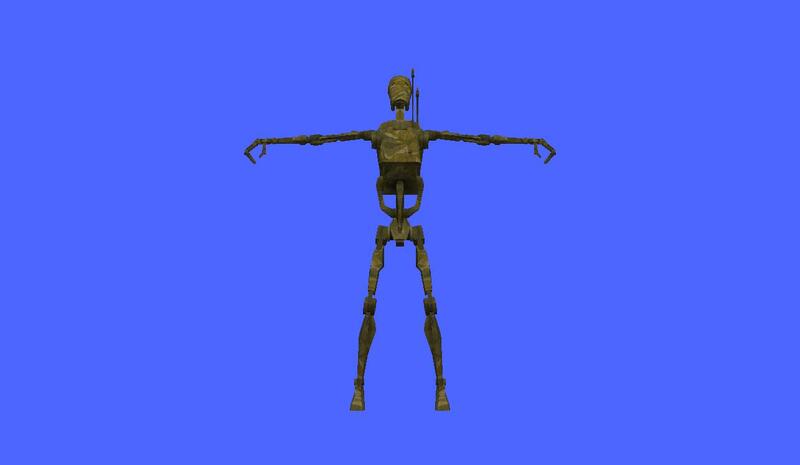 ggctuk wrote: I've rigged them to the stock Battle Droid skeleton from the original Star Wars: Battlefront (which I have included). Ahh ok ok that makes sense. I added the new ones and I saw no differences and was wondering if they were important. They probably do work with the SWBF2 skeleton but I used the SWBF1 model as my starting point for scaling and enveloping.